Метою дослідження є визначення пріоритетних ринків реалізації експортного потенціалу аграрного сектора України в кризових умовах сьогодення. У статті окреслено сучасні проблеми розвитку експортного потенціалу аграрного сектора економіки України в умовах глобалізації. Проаналізовано основні позитивні та негативні риси історичного розвитку аграрного сектора країни в контексті процесу глобалізації. Розглянуті чинники, що перешкоджають збільшенню виробництва та нарощуванню експорту, і позитивні чинники, що сприятимуть диверсифікації експорту сільськогосподарських товарів, піднесенню виробництва на новий рівень. Узагальнено, чому саме зовнішньоекономічне співробітництво з країнами Перської затоки є такими багатообіцяючим. Сформульовано перспективи розвитку агарного сектора національної економіки та його експортного потенціалу за умови тісної співпраці з країнами Перської затоки. Ключові слова: аграрний сектор; країни Перської затоки; експортний потенціал; диверсифікація ринків. 1. Абумуфрех М. Зовнішньоекономічні відносини України з країнами Перської затоки: дис. канд. ек. наук: 08.00.02 / Абумуфрех Мурад Махмуд Хасан. — Львів, 2014. — 203 с. 2. Волович О.О. Стратегія активізації співпраці України з державами Перської затоки: аналітична доповідь / О.О. Волович, Ж.Б. Ігошина, В.В. Макух, А.С. Поспєлов, Г.В. Шелест; за ред. О.О. Воловича. — Одеса: Фенікс, 2011. — 90 с. 4. Кундицький О.О. Чинники розвитку підприємств аграрного сектора України / О.О. Кундицький, Н. С. Чопко // Экономика и управление. — 2012. — №6. — С. 54—58. 5. Сайкевич М.І. Експортний потенціал сільськогосподарських підприємств [Електронний ресурс] / М.І. Сайкевич, О.Д. Сайкевич // Інноваційна економіка. — 2013. — №41. — С. 104—110. The purpose of the article is to determine the prospects of developing the export potential of the agrarian sector of the national economy taking into account the existing risks and possible options of state policy in crisis conditions and in the conditions of globalization. The article outlines the current problems of the export potential of the agrarian sector of Ukraine's economy in the conditions of globalization. The main positive and negative features of the historical development of the country's agrarian sector in the context of the globalization process are analyzed. Positive include fertile black earths, the predominance of favorable natural, climatic conditions and availability of resource potential, and there are rarely sudden changes in temperature, which would negatively affect the yield, favorable geographical location, as well as high availability of water resources. However, no matter how fertile our land, failure to crop rotation, the introduction of insufficient organic fertilizers, and uncontrolled reduction of ground water levels will lead to erosion, pollution and degradation of soils. Considered factors hindering the growth of production and export growth, and positive factors that will promote the diversification of exports of agricultural products, increase production to a new level. It is generalized why foreign economic cooperation with the Gulf states is so promising. The oil sector in the Persian Gulf is well developed in the fields of exploration, extraction, refining and infrastructure development, and since Ukraine is one of the countries with a scarce energy balance, technological cooperation with these countries would open up great opportunities for us. Today, this region is actively developing, increasing the number of people, and accordingly, the demand for quality food is growing. The Arabian Gulf countries are among the largest sources of free capital in the world. The prospects of development of the agrarian sector of the national economy and its export potential are formulated, provided that it is in close cooperation with the countries of the Gulf States. Keywords: agrarian sector; Gulf States; export potential; diversification of markets. 1. Abumufrekh, M. (2014), "Foreign economic relations of Ukraine with the countries of the Gulf States", Abstract of Ph.D. dissertation, Economy, Lviv, Ukraine. 2. Volovych, O. O. Ihoshyna, ZH. B. Makukh, V. V. Pospyelov, A. S. and Shelest, H V. (2011), Stratehiya aktyvizatsiyi spivpratsi Ukrayiny z derzhavamy Perskoyi zatoky: analitychna dopovid [Strategy of activation of cooperation of Ukraine with the states of the Gulf States: analytical report], Feniks, Odesa, Ukraine. 3. Komirenko, V. I. and Honcharov, O.V. (2011), "Features of Economic Cooperation between Ukraine and Saudi Arabia", Suchasni pytannya ekonomiky i prava, vol. 1, pp. 34—38. 4. Kundytskyy, O. O. and Chopko, N. S. (2012), "Factors of development of enterprises of agrarian sector of Ukraine", Ekonomyka i upravlenye, vol. 6, pp. 54—58. 5. Saykevych, M. I. and Saykevych, O. D. (2013), "Export potential of agricultural enterprises", Innovatsiyna ekonomika, vol. 41, pp. 104—110. 6. Yatsenko, O.M. 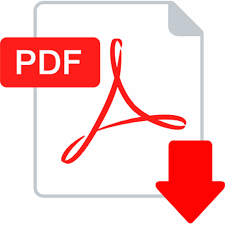 Nevzhlyad, N.H. and Nevzhlyad, A.H (2015), "Development of export potential of the agrarian sector of Ukraine's economy in the conditions of globalization", Zovnishnya torhivlya: ekonomika , finansy, pravo, vol. 3, pp. 39—48. 7. State Statistics Service of Ukraine (2018), Naukova ta innovatsijna diial'nist' v Ukraini 2017. Statystychnyj zbirnyk [Research and innovation activity in Ukraine 2016. Statistical yearbook], Derzhkomstat, Кyiv, Ukraine. 8. Kyiv International Economic Forum (2017), Zovnishnoekonomichni vidnosyny Ukrayiny z Radoyu spivrobitnytstva arabskykh derzhav Perskoyi zatoky, [Foreign Economic Relations of Ukraine with the Arab Cooperation Council of the Persian Gulf], Kyiv, Ukraine.